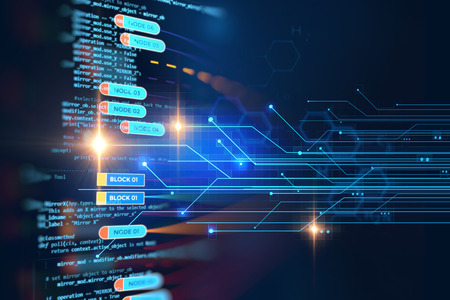 In the past few months, the Federal Circuit reversed a two-year trend of overturning software patents by publishing three decisions that outlined various parameters in which software can be eligible for patenting. In those decisions (described in previous IP Spotlight posts published here and here) the court cautioned that not all improvements in computer-related technology are inherently abstract. It also said that when assessing patent-eligibility, one must be careful to not use patent-eligibility to invalidate a claim when the real issue with the claim is obviousness. A new opinion from the Federal Circuit sets some boundaries in the other direction, and limits how far software patent holders can push the boundaries of patent-eligibility. In Intellectual Ventures I LLC v. Symantec Corp., the court found certain claims of three software patents to be invalid. The patents were US 5,987,610 (directed to computer virus screening methods), US 6,073,142 (directed to automated analysis of e-mail messages) and US 6,460,050 (directed to a system for identifying distributed content). To understand the boundaries of what the Federal Circuit considers to be patent-eligible, the court’s analysis of the broad claims of the ‘142 and ‘050 patents can be compared to the court’s recent decisions that found claims directed to discrete, technical solutions to be patent-eligible. However, the court’s analysis of the ‘610 patent arguably conflicts with its recent statements in Bascom Global Internet Services, Inc. v. AT&T Mobility et al., where the court cautioned that one should not use patent-eligibility to reject a claim when the real issue is obviousness. Although not expressly stated in the decision, the court may have actually considered the possible pre-emptive effect of the claims, as it did in recent cases such as Bascom Global and McRO, Inc. v. Bandai Namco Games America, Inc. The Federal Circuit continued to refine the boundaries of patent-eligibility of software in 2016 with a new decision, McRO, Inc. v. Bandai Namco Games America, Inc. (Sept. 13, 2016), in which the court assessed whether claims directed to a method of automatically animating lip synchronization and facial expression of 3D characters are patent eligible. The new decision can serve as a useful guide for patent applicants when drafting software-implemented method claims. The decision indicates that if the claims are directed to a result, however accomplished, then they are unlikely to be patent-eligible. However, if the claims are directed to a discrete method of achieving a result, they may be patent-eligible even if implemented on a general purpose computer.